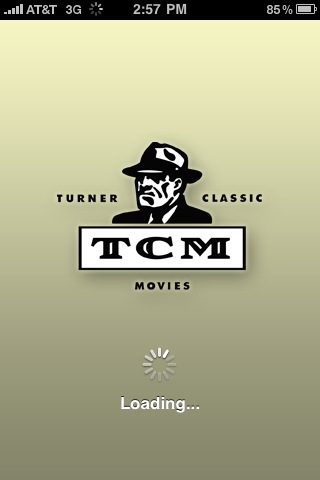 Turner Classic Movies came out with an iPhone app a few months ago and I was super excited to get it. It would be a little TCM that I could take with me everywhere I go. So I shelled out the $2.99 for it as soon as it hit the App Store and downloaded it on to my iPhone. What I thought would be a portable TCM.com turned out to be something completely different. I equate the TCM iPhone app to going on a date with a really hot guy only to have your mother come along. While it's a great opportunity to hang out with that guy you've been lusting after, the date would be a million times better if mom wasn't around watching your every move. And if there is a second date, chances are it will be better and sans mom. The app could be a lot more enjoyable if they opened up the possibilities but instead they restrict, restrict, restrict. This app could go from sucky to awesome if they added just one function: Search. 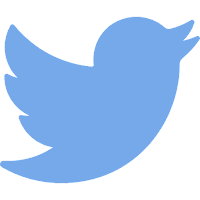 Let's take a little tour of the App. The Home page highlights the four major sections (Schedule, Video, Photos and Blog) and includes a banner above showcasing that month's theme. It's updated regularly and each item is always the newest for each section. A click (tap) on the arrow button brings you to another screen with the full content. 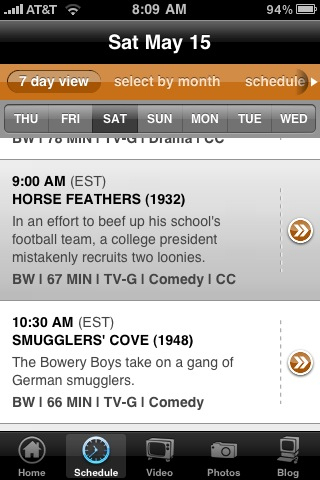 If you watch TCM religiously, the Schedule feature is pretty nice. You can view all the films that will be shown within the next 7 days and you can click/tap through to any given film for more information. You can also view what's showing during the next two months. 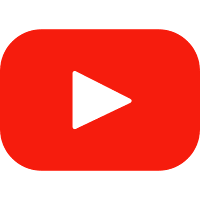 You can even set it to your time zone or switch to Canada for their listings. It won't however allow you to set reminders or alerts for future showings. Let's say you really wanted to watch Horse Feathers (1932) (which seems to be on heavy rotation on TCM lately). 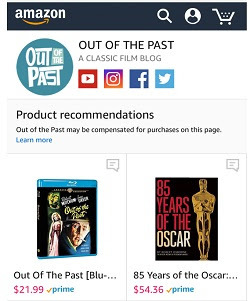 A click through to the information page gives you pretty much all the info the film's TCMDB page would have: An overview, TCM article, Video, Notes, Full Credits, Full Synopsis and even user comments. Video section gives you a select showcase of widescreen videos, trailers, movie clips and promos. 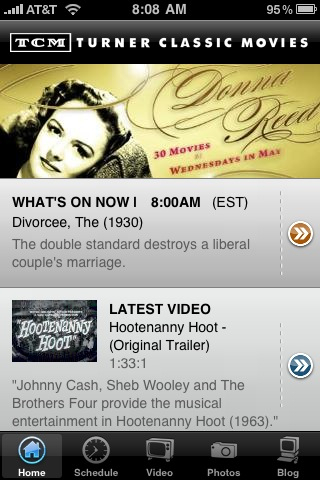 TCM picks the videos based on the current and upcoming schedule. 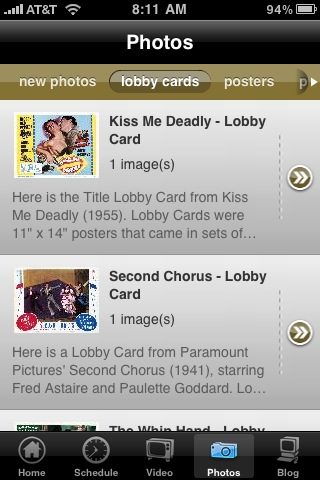 Now we come to the Photo section which features a regularly changing list of images from lobby cards, posters, press books, production photos and publicity photos. 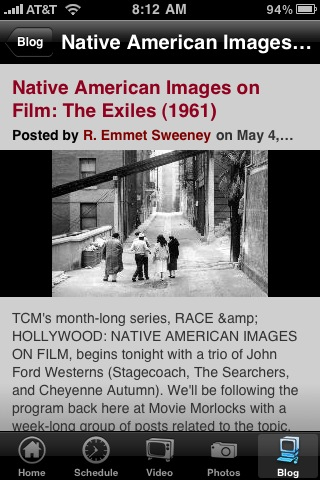 TCM picks the images based on the current and upcoming schedule. You can't search for pics or do anything with them other than look. 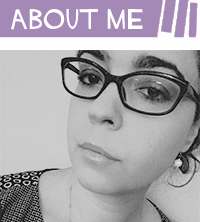 Finally, there is the Blog section. Don't get too excited, it's only the Movie Morlocks blog. 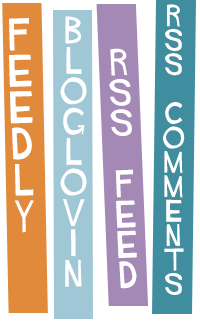 This is probably the most useful section because it's a regular updated feed of the highly active official TCM blog. 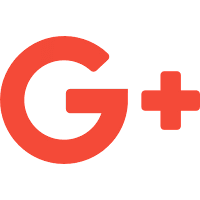 You can get a full RSS of the blog anywhere else but here. 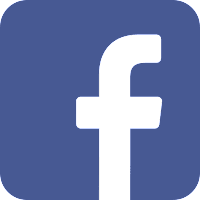 However, you can only view the last 10 postings. 1) SEARCH for films, photos, videos or anything AT ALL! 5) Download any pictures to your phone (most apps won't let you do that anyways). I don't think the TCM app is going to change any time soon but it would be worth their investment to enhance the app with search functionality. It would even be worth paying $4.99 instead of $2.99. As it stands, the TCM app doesn't seem complete. If you are hesitant to pay money for an app, I would suggest downloading the free IMDB app instead (which has Search functionality) and accessing TCDMB through Safari. 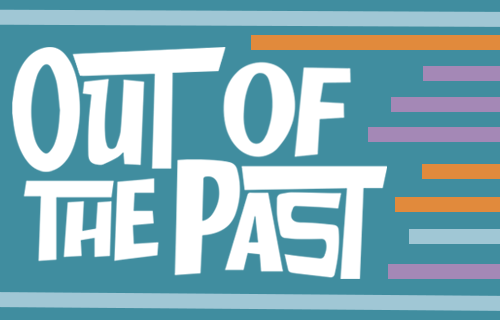 But if you are a super TCM freak/addict who happens to be glued to your iPhone (or iTouch or maybe even iPad), this app may be worth your while. Anyone else have this app? Thoughts on it? 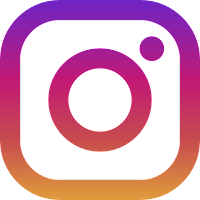 And thanks to @AddieReed who asked about this app on Twitter which inspired me to do this post. Full Disclosure: I bought this app for my iPhone. Yup. Agreed, it really isn't anything to write home about. I read the reviews and decided to pass for now. 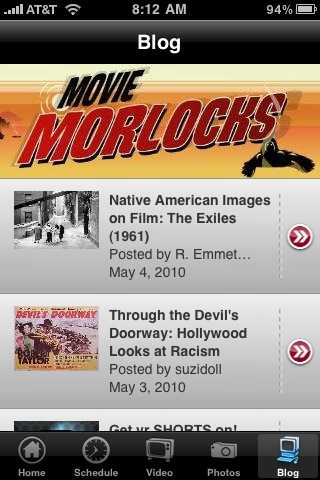 The IMDB app is great, and I do subscribe to the Monthly Guide to mark all the films I want to see/record. 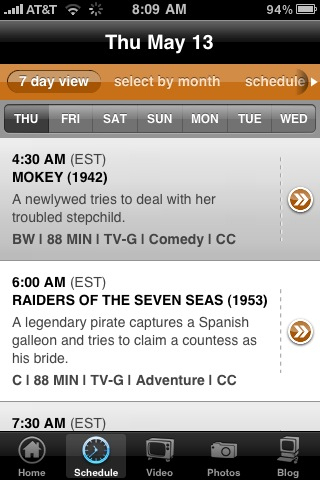 That said, Long Live TCM! Thanks so much for pulling this all together...it was very helpful. 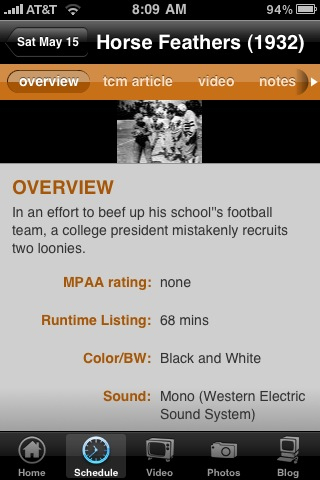 I have the IMDb app, which is pretty informative and, as you mention, has a search function. The info on the TCM app in the App Store claims that they plan future updates to include more schedule features (hopefully the ability to set reminders), but nothing about a search functionality. In the meantime, I think I'll wait before I spend my money on this app. 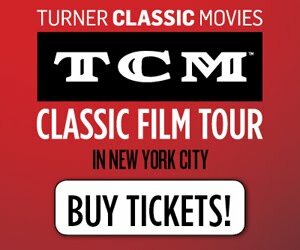 Hopefully the good people at TCM will take note of your post here. Thanks again for rounding up all this info and the screen caps! 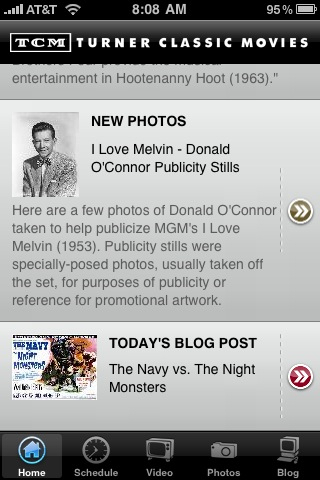 I don't have this one, but I'm pretty happy with the Leonard Maltin app. You can search by movie, cast, and director, plus it links to IMDB, Amazon, iTunes, and Netflix. It also tracks lookup history and allows you to keep lists of favorite movies and movies to see. Maltin also has lengthier, although unrated, reviews of current films. I hate to say this, but the app renders the book unnecessary.